If there’s one city in Europe that knows how to brighten up the dark winter days, it’s Groningen. Magical markets, special art and music events, and warm, cosy hotspots make the city an enchanting winter get-away. Fun fact: Groningen is regularly awarded the city with the best cafes, shopping streets and coffee in the Netherlands. And that’s all year round! During the winter, it acquires even more delightful charm. Under the watchful eye of the Martini Tower and the gigantic Christmas tree, visitors can ice skate to their heart’s content. 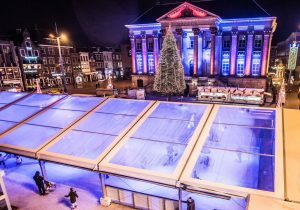 Every year the ‘Grote Markt’ (town square) is revamped into ‘Groningen on Ice’, one of the prettiest and most delightful ice skating rinks in the Netherlands. It’s covered with sparkly lights and surrounded by heated terraces serving hot cocoa and gluhwein. The ice skating rink is 900m2 big and will be open until January 7th. Relive historical Groningen during the WinterWelVaart event, hosted through December 15-17. Enjoy a festive music, theatre and art program in and around dozens of old ships. The event takes place in the most beautiful part of the historic city centre, creating a real fairy tale effect – a perfect way to experience the holidays! Eurosonic Noorderslag is Europe’s biggest music showcase festival! With a line-up of more than 350 international bands, this event is the best place to discover new music. 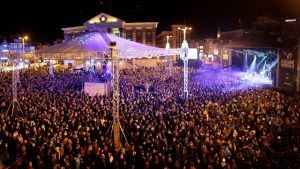 From January 17-20 Groningen transforms into the musical capital of Europe, dominated by top artists and music lovers. Events take place all over the city. 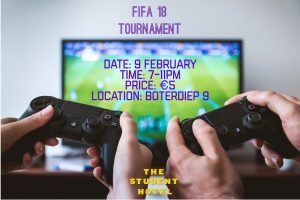 If you rather play e-sports than outdoor sports during the winter season, then the FIFA18 Gaming Tournament at The Student Hotel Groningen on February 9th is made for you. The gaming tournament is open to anyone between 18 and 108 and comes with fun and flashy prizes. You can get your ticket at weplayesports.com/studenthotel. More info will be announced on our TSH Groningen Facebook page soon. 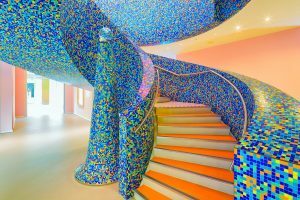 The colorful, multi-dimensional Groninger Museum is an absolute city gem. From the December 9th to mid-May, the star attraction of the museum is the ‘The Romantic in the North’ exhibition. This is the first international exhibition devoted to Northern European Romantic landscape paintings. The paintings explore topics such as travel, the power of nature, and spirituality. Take a surprising journey from the Black Romanticism of Studio Job to the sweet white collection of fashion designers Viktor & Rolf. 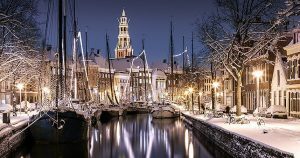 Planning to visit Groningen this winter? Add that extra special touch to your stay at The Student Hotel and book a room with us.